Mary Elizabeth Hochuli, 91, passed away on Wednesday, Dec. 12, 2018, at The Pines in Holton. She was born on Nov. 14, 1927, in Frankfort to Minnis and Dorothy (Kaul) Riley. The family moved to Holton, where she spent the rest of her days living on Iowa Street. She graduated from Holton High School and went on to attend Kansas State University, where she was a member of Alpha Zi Delta sorority. She married Sheldon Don Hochuli at the Presbyterian Church in Holton on Feb. 22, 1948. Sheldon preceded her in death on Nov. 8, 2017. They were happily married for 69 years. Mary is survived by her daughter, Cindy (Mike) Vanek of Peoria, Ill.; her son, Sheldon (Martha) Hochuli of Topeka; grandchildren, Jeff, Kristen, Elizabeth, Grace and Matthew; great-grandchildren Jackson, Paisley, Ivan and Siena; her sister, Dorothy Jean Atlakson of Atchison; and her brother, Kenny Riley of Hiawatha. Mary worked as the secretary at her church, Evangel United Methodist (formerly the Evangelical United Brethren Church) for 13 years. Following that, she was at the Denison State Bank for almost 14 years, retiring in March 1984. Mary enjoyed being involved in the community as a member of PEO Chapter P, Tourist Club and Beck-Bookman Club. She was a talented seamstress and enjoyed knitting and cross-stitch. Mary and Sheldon loved to travel. Many wonderful memories were made wintering at their condo in Wimberly, Texas, where they enjoyed golfing with friends and hosting family. Her golfing experiences included three holes-in-one. 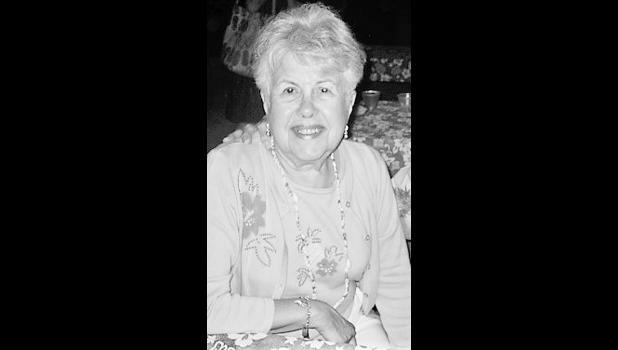 She was the matriarch of her family and loved having family gatherings at her home. The family tradition of Christmas Day at Mary’s home went well into her early 80s. She will be remembered as a loving mother, grandmother and great-grandmother who will be dearly missed. The family would like to express their thanks and appreciation to the staff at The Pines and Vintage Park for the tender love and care that Mary received while a resident. Funeral services will be held at 11 a.m. Thursday, Dec. 20 at Mercer Funeral Home in Holton. Burial will follow in Holton Cemetery. Family will greet friends from 10 a.m. to 11 a.m., one hour prior to service time.